This year your Year 1 teachers are Mr Williams and Miss Jarmson and we are both really excited about the learning that will take place this year. We will also have Pauline, Tina and Fatima who will be working with us on all the exciting challenges ahead. PE will be on a Monday. Please make sure that you have the correct PE kit. Reading books are given out on a Monday and Friday. Can you tell an adult about all the shapes below? Make sure you use the words vertices and sides. Can you write 3 sentences with the suffix 'ing'. The Highway Rat was galloping on his brown horse and stealing from the poor gentle animals. Remember to look, say, cover, write, check. 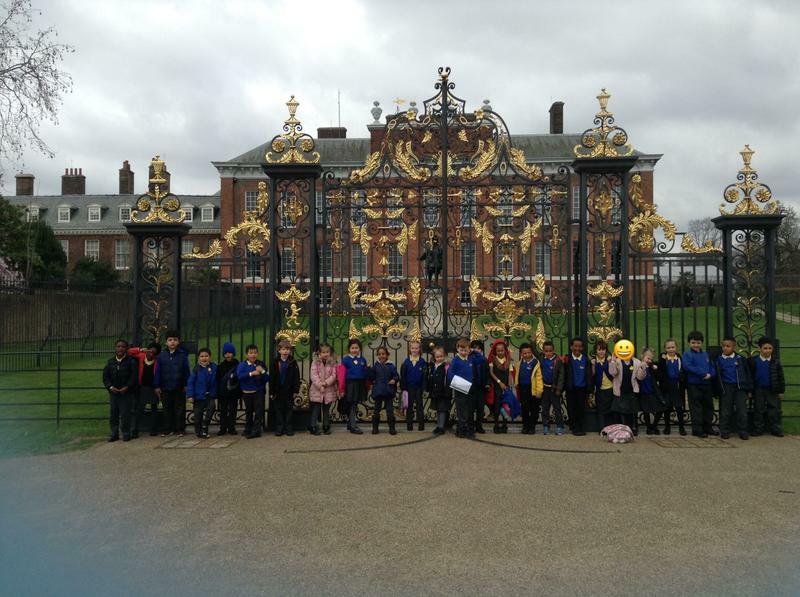 We went to Kensington Palace to learn about Peter the Wild Boy. 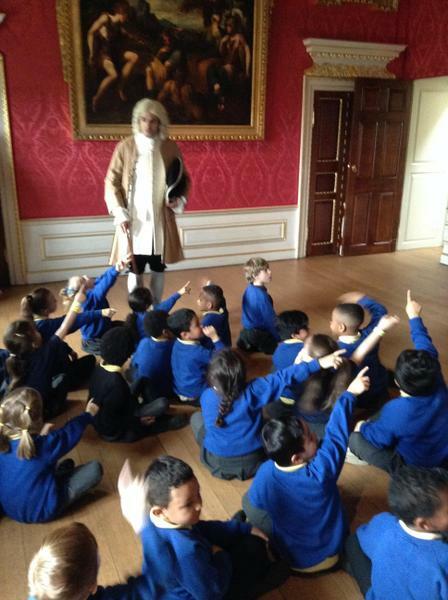 We wrote King George I a letter and were really excited to get one back! We made our own straw, sticks and brick houses in science. Only one house was left standing! 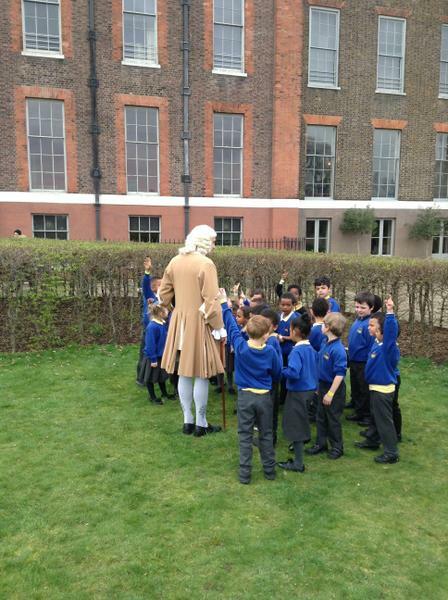 Ahoy me hearties, pirate Barnacle Bill visited our school! We helped him write an apology letter to the Royal Family after he plundered their booty. Yo ho ho we had Aaarrrghmazing fun! We learned all about the Christmas Story and made a display to retell it. We have been learning about seasons. Look at our wonderful pictures of winter! 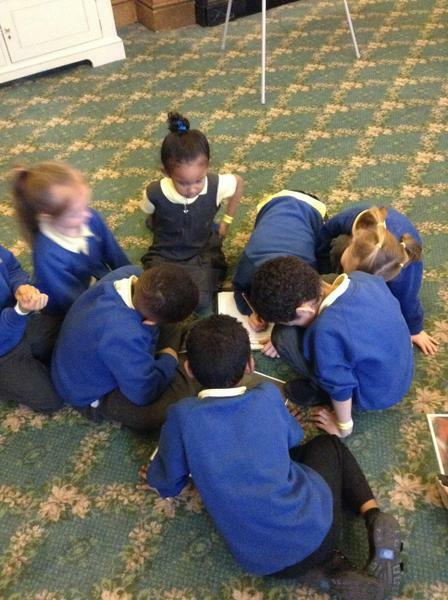 We went on a autumn walk to see how the leaves change colour to orange, yellow, brown and red.